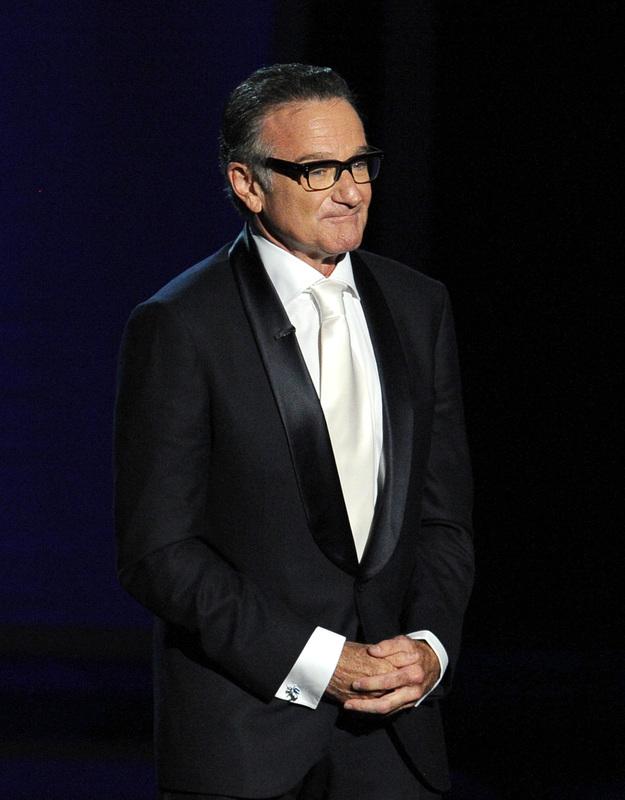 It was no surprise when, on Wednesday, the executive producer of the Emmy Awards said that a tribute to the late Robin Williams was already in the works. The ceremony is less than two weeks away, and Williams, between Mork & Mindy, SNL gigs, and The Crazy Ones, was a formidable presence on TV for over three decades. For the Emmys to choose to pay tribute to the comedian is obvious; how they'll actually go about doing it, though, is less clear — and reason to be very, very nervous. Because as well-meaning as the Emmy producers may be, their past attempts at celebrity tributes have been underwhelming at best, cringeworthy at worst. Until 2013, the show's typical acknowledgments of late TV stars consisted of spots in an In Memoriam montage, that overlong, strangely paced, uncomfortably competitive slideshow that aired during the middle of the ceremony. Even when told not to, audience members would clap for their favorites, making the lesser-known inclusions seem unimportant; at home, viewers would use the montage as a bathroom break, knowing that even if a beloved actor was shown on-screen, it wouldn't be more than a photo or, in rare occasions, a five-second video clip. So, last year, the Emmys tried something different; in addition to the routine slideshow, there were several longer, separate tributes to well-known or influential industry players, interspersed throughout the three-hour ceremony. James Gandolfini, Cory Monteith, Jean Stapleton, Gary David Goldberg and Jonathan Winters were chosen as the honorees of this special format, with their close friends and coworkers leading the remembrances. While not a bad idea in theory, the execution of it was disastrous; some critics took issue with the decision to honor those particular five individuals, wondering why other, equally important TV players weren't included; others found the separate tributes more depressing than the typical In Memoriam, and felt that the entire ceremony, rather than a small portion, was sad and upsetting. Many people just seemed confused; what were these new, strange segments, and why did the show feel more focused on which A-list actors it could get to pay tribute than the legendary people they were paying tribute to? Now, for the 2014 ceremony, the Emmys have a difficult challenge: how to pay proper respect to Williams and other late individuals, while not negatively coloring the tone of the night as a whole. A simple photo or video would clearly be insufficient, but a full tribute like the ones given to Gandolfini or Monteith could be uncomfortably long or unfairly focused. After all, while Williams' death is certainly impactful, he's far from the only TV veteran to have passed away this year; if he gets a detailed tribute, why shouldn't Lauren Bacall, Shirley Temple, or James Avery receive some kind of specialized remembrance as well? The Emmys need to find a balance, some in-between way of honoring TV's most memorable stars without causing tension or trivializing their intentions. Of course, that's easier said than done. Paying tribute is a tricky matter, and even the most well-intentioned memorials can seem awkward or unfitting when plopped into an already-overlong ceremony. Even if the producers do everything they can, as I'm sure they will, to make Williams' Emmy tribute a smooth, unmissable part of the show, there's still a chance that it won't be enough. Then again, what would be? Even an entire ceremony dedicated to the actor's memory would feel insufficient; no matter how many video clips they showed or co-stars they got to speak, a commercial-ridden, overplanned tribute to Williams would inevitably seem inadequate. Perhaps that's just a testimony to his influence, though, and shouldn't be seen as a fault of any awards show producer. If Williams was a more ordinary man, his tribute would probably be easier to plan — but, of course, he was no ordinary man. Williams was a legend, and legends deserve proper tributes; let's just hope that this time, there will be no bathroom breaks or ill-timed clapping involved.